The project “State graduation exam” was presented today at the hotel Metropol in Belgrade. Project activities have been funded by the European Union with the goal to support public institutions in changing the final high school exams and the way high schools graduates enrol in universities. 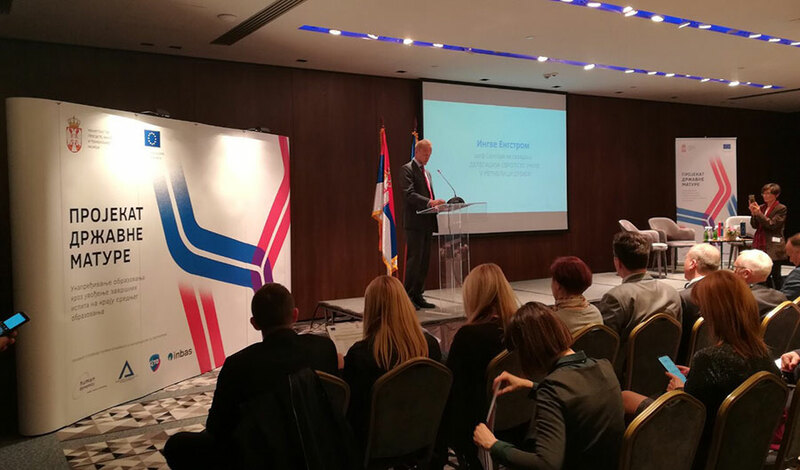 The event was attended by Minister of Education, Science and Technological Development Mladen Sarcevic as well as representatives of the EU Delegation to Serbia and educational institutions. Over the course of next two years, numerous preparatory activities will be carried out under the project, including: defining the organisational model according to which pupils would prepare for the exam; regulate the legal and institutional frameworks; a number of experts will prepare necessary instruments and manuals; trainings will be held for teaching and non-teaching staff; two trial exams and a trial graduation exam will be held in March 2021. 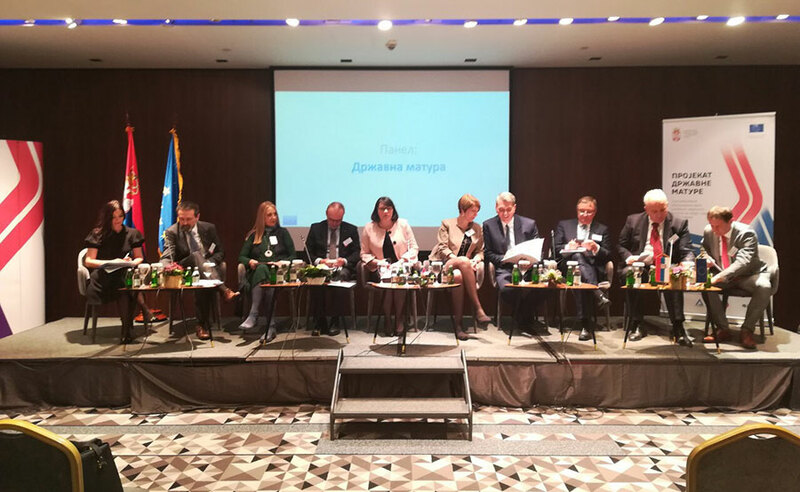 The project offers a rare opportunity to make a direct influence on the society, Head of Cooperation at the EU Delegation to Serbia’s Ingve Engstrom said on this occasion. “Improvement and modernisation of the education system is one of EU’s priorities. It can be seen all over Europe that educational institutions are evolving and adapting to their mission – to educate pupils on how to be successful in a complex world undergoing fast technological cultural, economic and demographic changes. Changing the way pupils enrol in universities will open up new possibilities, Minister Sarcevic said. “Up until now, if someone wanted to enrol in the School of Electrical Engineering and got beaten by half a point, they had to wait until the second enrolment term and risk not getting in and having to opt for a faculty which was not their first choice. With a state graduation exam passed, they will be able to try to enrol in the Faculty of Mechanical Engineering or the Faculty of Technology and Metallurgy in the same enrolment term.” Sarcevic said. High school pupils will start taking the state graduation – or great graduation exam as it was once called – as of June 2021: gymnasium pupils will take a general graduation exam; pupils of art high schools will be taking arts graduation exams; four grade vocational schools pupils will be up for vocational graduation exam, while three grade vocational school students will be taking the final exam (final exams will be introduced in 2020). Relevant institutions say pupils, parents, teachers and higher education institutions will have enough time to prepare for finals. The state graduation exam – through which students’ achievements and competences will be put under review – will replace university entrance exams. However, faculties will retain the right to hold additional exams to check whether candidates possess specific talents and abilities. The European Union has donated EUR3.7 million for the implementation of the project. So far, it has invested over EUR100 million in education reform in Serbia.